How much compensation for a roundabout accident claim? Who is At Fault? There is no denying that a large portion of road accidents occur at roundabouts. Awareness of other vehicles and good judgement are necessary when navigating a roundabout. If a driver pulls out too quickly or doesn’t take note of other cars on the road, an accident can easily occur. If you have been involved in a roundabout accident and it was not your fault, you will likely be entitled to compensation. We reveal everything you need to know about roundabout accident claims below. A guide to claims for roundabout accidents. What is a roundabout accident? The 10 most dangerous roundabouts in the UK. What to do if you are involved in an accident at a roundabout causing injury. 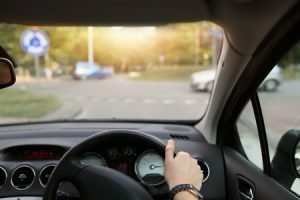 How to begin a roundabout accident claim. What can be claimed for after an accident at a roundabout? The most common reasons for roundabout accidents. If someone cuts across you on a roundabout whose fault is it? Who is at fault in a car accident on a roundabout? How much compensation will I get after a roundabout accident causing injury? No Win No Fee roundabout accident claims. Why choose us as your claims service for a roundabout accident claim. We have helped many road traffic accident victims to get the compensation they deserve. A lot of these victims have been involved in roundabout accidents. Roundabout car accidents can have severe consequences, and we have helped victims that have suffered serious, lasting injuries, as well as those that have been lucky enough to come away with more minor injuries. No matter what applies to you, it is important to recognise that you are entitled to compensation if the accident was not your fault. In this guide, you will find out everything you need to know regarding roundabout crash claims, including roundabout collision case law, eligibility, how to make a claim, average payout amounts, and our No Win No Fee approach. These instructions are in place to ensure accidents do not happen. If someone is in the wrong lane while exiting the roundabout or they do not pay attention to other cars on the road, accidents can easily happen. Remember, the left lane is usually only for proceeding straight ahead or turning left – it is not for turning right. If you continue the island in this lane, you could cross exits that other drivers are trying to emerge from, and this is when accidents on mini roundabouts and roundabouts happen. If someone has failed to follow the Highway Code when using a roundabout, and you have been injured a consequence, you will be entitled to compensation. You simply need to be able to prove that the roundabout or mini roundabout accident fault lies with someone else. This could be another driver or it could be the person driving the vehicle you were in. Simply call us today for more information. See a medical professional – There is only one place to begin, and this is with seeing a medical professional. Of course, this is important for your health firstly. Plus, if you have sustained severe injuries, you will have no choice but to see a doctor. Nevertheless, there are some people that attempt to heal themselves when they have only sustained minor injuries. This is because they hate they thought of going to hospital! However, if you do this, you will struggle to make a claim. This is because the medical report provided by your doctor is the most crucial piece of evidence; it will be used to determine how much compensation you receive. Not only this, but whiplash is one of the most common injuries people sustain as a result accidents on mini roundabouts and roundabouts. When suffering from whiplash, a lot of people do not experience many symptoms at first. After a few hours and sometimes even a few days, the symptoms come on strong, and it can be very painful. This is why you should always see a doctor just to be sure. Gather contact information – If possible, get the contact information of the person that caused the accident. You should also note the make and model of their vehicle. You should also get the contact details of anyone that witnessed the accident. This is because witness statements can really help to strengthen your claim. Take photographs – If applicable, take photographs of your injuries, as well as photographs of the scene or any damage to your car. Make notes – As soon as you get the opportunity, make a note of everything that happened. This will make sure you do not forget any important details later down the line. Keep proof of expenses – Last but not least, be sure to keep proof of any expenses you have incurred as a direct consequence of your injuries. This could be anything from loss of income and counselling expenses to travel costs and the cost of childcare. You will be able to claim for all of these costs. However, you will only be able to do so if you have proof, so don’t throw away receipts or any other documents. Making a roundabout accident claim is easy when you work with us. All you need to do is give us a call and we will handle everything for you. When you speak to our team, we will begin by providing you with a free consultancy session. This gives you the chance to ask any questions you have. Not only this, but we will ask you a number of questions. This is nothing to worry about; it is simply so we can advise you in the best possible manner. We will also happily arrange a local medical for you, if needed, and we handle all claims on a No Win No Fee basis. This means that you are only going to need to pay legal fees if your case is successful. You will find out more information about this towards the end of the guide. General damages – This is the compensation you will receive to cover your pain and suffering. Care claim – If you have needed help around the house, the person who cared for you can file a care claim. Accident on roundabout whose fault is it? This is a question we often get asked. Well, if someone has cut in front of you, it will be his or her fault if an accident arises as a consequence. All you need to do is give us a call and we will advise you on building a strong case, ensuring you get the maximum amount possible. Accident on a roundabout who is at fault? This is a question we often get asked! There are many different types of accidents that can happen on roundabouts. Refer to The Highway Code at the bottom of the guide for more information on how you should drive safely on roundabouts. This should help you to determine whether you or the other driver was at fault. If you are still unsure, all you need to do is give us a call and we will happily advise further. One thing a lot of our clients ask is how much roundabout accident compensation they are entitled to. This is a reasonable question; after all, you want to know whether making a claim is going to be worth it. Unfortunately, it is impossible to give you an accurate figure regarding how much compensation you will receive. This is because there are many different variables that are involved, and every personal injury case is different. However, what you should know is that we always aim to secure the maximum payout amount for all of our clients. Below, you will get a better understanding regarding the typical payout amounts for injuries relating to car accidents on roundabouts. Remember, these are just estimates; there is always the potential to receive more than the maximum. Moreover, if you cannot find the injury you have sustained in the table below, all you need to do is give us a call for more information. Minor back injuries A few hundred pounds - £9,500 At the higher end of this bracket, the payout is based on a number of different factors. This includes how severe the original injury is, the consistency of the symptoms, the degree of pain experienced, and the extent of any treatment needed. Cases resulting a few hundred pounds are those whereby a recovery is made in a few weeks or a month or two. Moderate back injuries £9,500 - £29,475 Higher payouts are for cases whereby there is residual disability, yet not to the extent whereby it would quantify as a severe back injury. At the lower end of the scale are cases involving ligament or muscle disturbance, which result in backache and soft tissue injuries. Severe back injuries £53,000 - £122,350 Higher payouts are for the most serious back injuries, which involve damage to the spinal cords and nerve roots. Lower payouts are for cases that involve soft tissue injuries, disc lesions, or disc fractures. Minor neck injuries A few hundred pounds - £6,000 There are a number of different factors that will determine how much compensation you will receive. This includes the following: how severe the neck injury is, symptom consistency, the intensity of the pain you are experiencing, the impact of the injuries on the rest of your life, i.e. your work and your relationships, treatment required, and whether medication is needed. Moderate neck injuries £6,000 - £19,000 The higher payout is for fractures or dislocations that result in instant serious symptoms. The lower payout is for injuries that have accelerated or exacerbated a pre-existing condition. Severe neck injuries £34,575 - £112,750 The lower payout is for fractures, dislocations, and soft tissue damage. The maximum payout is for neck injuries that lead to incomplete paraplegia or permanent spastic quadriparesis. Mental anguish £3,550 This is for fear of death and expectation of end of life. Pain and suffering £1,000 - £200,000 The amount of compensation you receive will be determined by the level of pain and suffering you have encountered. Loss of anticipated earnings £10,000 - £400,000 If you are going to miss work in the future due to your injuries, you can claim for loss of anticipated earnings. This will be calculated based on future earning potential as well as your current pay grade. In some cases, a higher payout than the maximum can be offered. Loss of benefits £5,000 - £500,000 If you have missed work due to your injuries, you can claim for actual income lost. In some cases, a higher payout than the maximum can be offered. When you work with us, we will handle your claim on a No Win No Fee basis. All of our in-house solicitors operate to this payment structure. So, what does it mean? Basically, you will only pay legal fees if your case is a success. If, for some reason, we do not manage to successfully secure compensation for you, you won’t have to pay a penny. This eliminates the financial risk that is typically associated with making a claim for roundabout accident compensation. After all, if you were to opt for a solicitor that charges per hour, there is always the huge risk that you could wind up with no compensation yet a massive legal bill to fund. You would be in an even worse position than you were when the process begun. This will never happen when you work with our No Win No Fee roundabout collision solicitors. There are additional knock-on benefits that are associated with the No Win No Fee service. This includes the peace of mind of knowing that we are working hard to secure the best outcome, and that we believe in your case. If you think about; solicitors that charge per hour are not impacted by the outcome of the case. Win or lose, they still receive their money at the end of it. We, on the other hand, are impacted by whether you get compensation or not. Not only does this mean that we give your case the attention it deserves, but it also means that we will only take on cases that we believe have a genuine chance of success. We will never waste your time. There may be many legal firms that can help you to launch a claim for a crash on a roundabout. However, you will struggle to find one that operates in the transparent, empathetic, and efficient manner that we do. We have many years of experience in the personal injury sector, and we have helped huge numbers of personal injury victims to get the compensation that they deserve. This includes car hit me on roundabout claims, as well as claims for accidents caused by drivers using the wrong lane and more. All you need to do is look at the feedback we have received from previous clients. You will see that we have an outstanding reputation in the industry; something we are very proud of. One of the reasons why we are held in such high esteem is because we put our customers first all of the time. We know that you are going through an incredibly frustrating and upsetting period. We also know that your life has already been disrupted enough. This is why we always aim to get the maximum compensation payout in the smoothest and quickest manner possible. This efficiency enables you to focus on your recovery while we focus on securing your payout. Nonetheless, if you ever have any questions or need any advice about roundabout road accidents, all you need to do is give us a call. If you have been injured in a roundabout road traffic accident, and you are ready to make a claim, all you need to do is give us a call on 0800 073 8804. You will speak to one of our friendly and professional advisors, who will talk you through the claim process and answer any queries you may have. You can rest assured that we operate to the highest levels of confidentiality, and our advisors will do everything they can to make you feel at ease throughout. So, what are you waiting for? Call us to get started! This link takes you to the UK Government website where you will find information on The Highway Code. This is a set of rules for using the road, including general rules, reversing, pedestrian crossings, roundabouts, road junctions, and overtaking. This takes you to the Department of Transport’s publication on Signal Controlled Roundabouts. The contents include reasons for use of signals at roundabouts, design considerations, control strategies and more. This is our guide on making compensation claims for car accidents. It includes information on what to do if you have been involved in a car accident, how to make a claim, what you can claim for, and average payout amounts. If you were injured as a passenger, use this guide for information on claiming as a passenger, common injuries, No Win No Fee, and more.